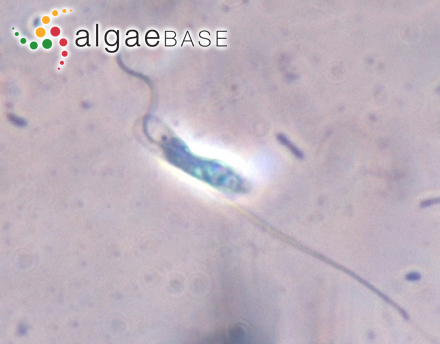 California, USA; sperm showing proboscis and long posterior flagellum characteristic of Fucaceae (phase-contrast optics). Eric Henry. © Eric Henry (eric@reedmariculture.com). Published in: Gardner, N.L. (1910). Variations in nuclear extrusion among the Fucaceae. University of California Publications in Botany 4: 121-136. The type species (holotype) of the genus Hesperophycus is Hesperophycus californicus P.C.Silva. 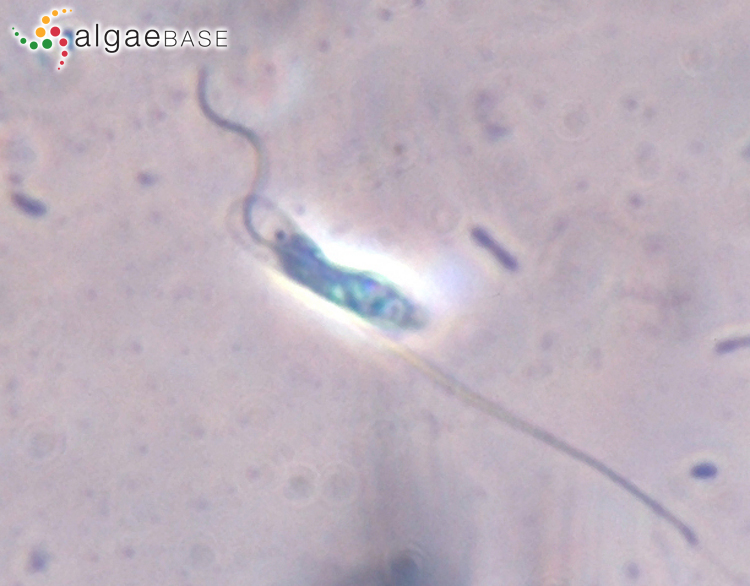 Type locality: Spetsbergen (Athanasiadis 1996: 228). Accesses: This record has been accessed by users 1118 times since it was created. Oates, B.R. & Murray, S.N. (1983). Photosynthesis, dark respiration and desiccation resistance of the intertidal seaweeds Hesperophycus harveyanus and Pelvetia fastigiata f. gracilis. Journal of Phycology 19: 371-380.